It can be maddeningly difficult to find a simple pair of sneakers. If you’re comfortable with something that’s heavily branded, there are some decent options. There are Adidas Stan Smiths and Sambas, Nike Air Force Ones and Tennis Classics, Converse Jack Purcells and Chuck Taylors. But when you’re looking for something without a logo on the side, your choices narrow dramatically. 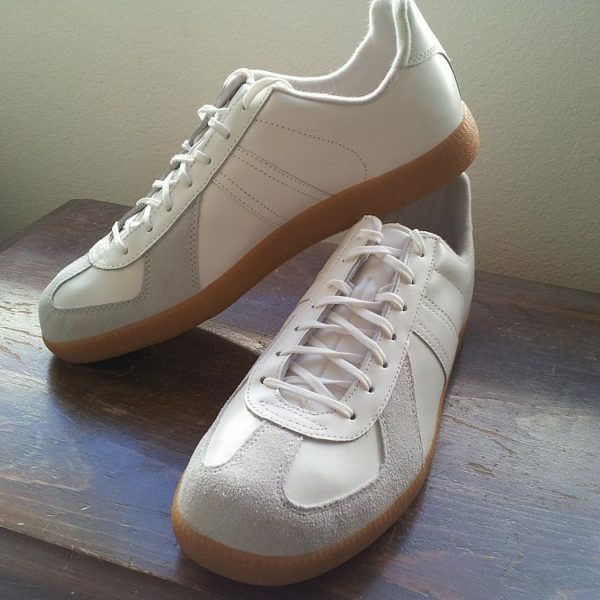 I recently went on a quest for all-white summer sneakers, and ended up with a pair of Common Projects Achilles, the laughably expensive (but tastefully simple) designer sneakers favored by streetwear enthusiasts. I paid for them with some store credit to a website that had been gathering virtual dust for months – I was days away from using it to buy artisinal sausage links. If you haven’t returned something expensive for credit lately, though, CPs might not be an option for you; the retail on the Achilles was $380. The shoes are made in Italy and the materials and build are excellent, but there are few among us who’d feel comfortable dropping that kind of coin on sneakers. 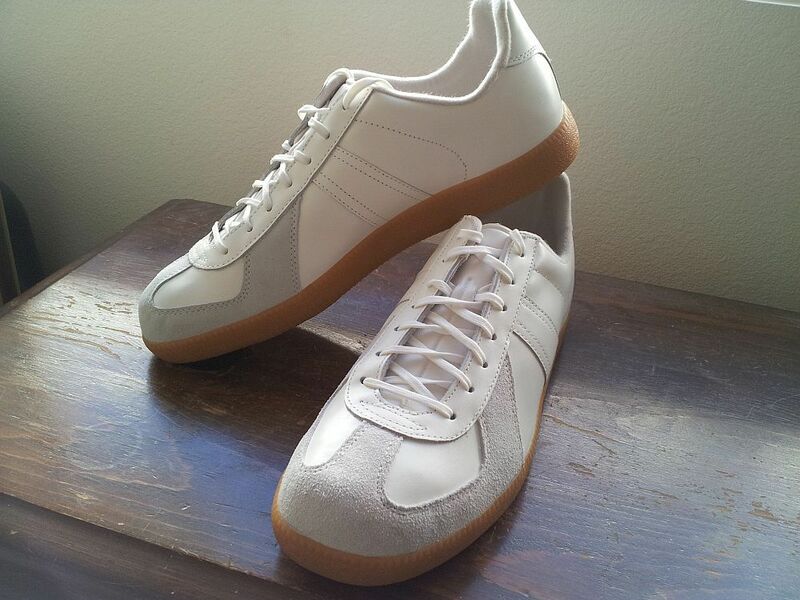 There is one simple leather classic that bears no brand: the GAT, or German Army Trainer. As the name suggests, it was designed for use in the German military, who’ve been using them for decades when exercising indoors. The simple, utilitarian style has inspired famous designers to knock them off – the Maison Martin Margiela version costs about $500. Adidas has knocked them off as well, but adding branding to a shoe whose raison d’etre is its unbranded aesthetic seems a bit silly. There are also German style enthusiasts willing to proxy. One who’s gotten good reviews on StyleForum is this guy, who sells the shoes new for $85, including shipping to anywhere in the world. That’s a lot to pay for surplus gym shoes that go for $30 or so in Germany, but what you get is a genuinely iconic shoe, and I don’t use that term lightly. Simple, unbranded and imminently wearable: qualities that are shockingly difficult to find.